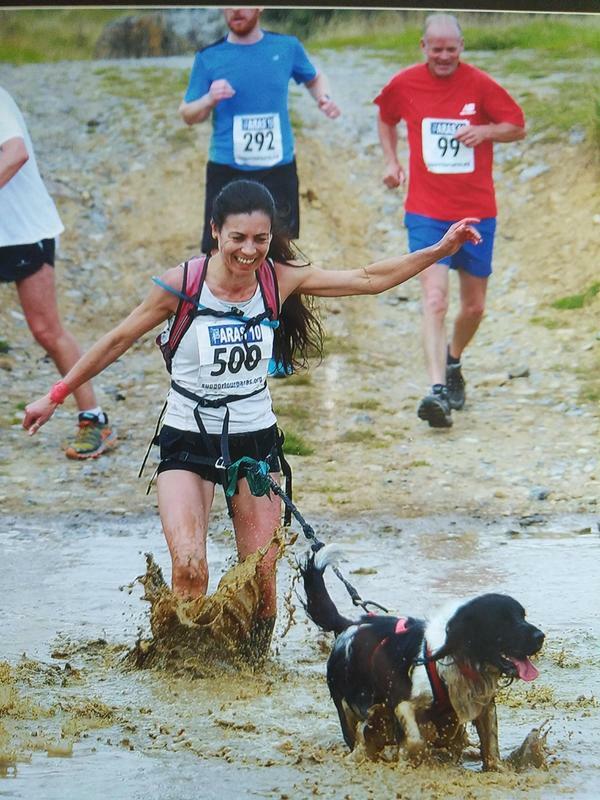 ﻿Canicross is running with your dog. You wear a belt and this attaches to your dog via a bungee to a well fitting harness. There are events all around the UK for all dog breeds. 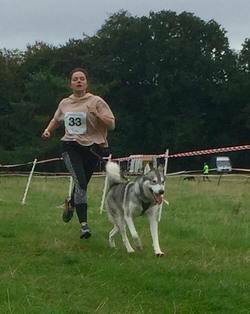 Canicross classes are split by humans rather than dog breeds!